The craze for concerts has always been high, but it has also led to the increase in the use of concert vectors as it simplifies the work of the designer to a great extent. Be it flyers, brochures or banners for the concerts, these vector illustrations can be used to create any type of concert designs. 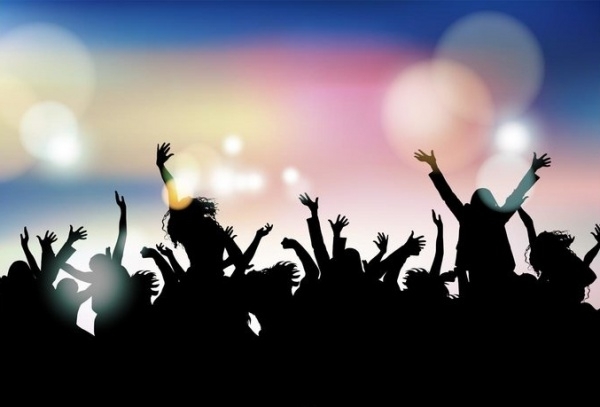 There are also plenty of celebration vectors available that can perfectly showcase the excitement for the festival, party or any event to attract the attention of the audience. You can also see Circle Vectors. 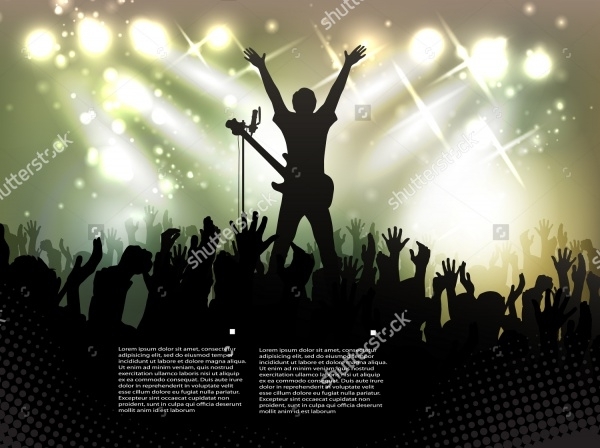 Here’s music concert vector template showcasing a guitarist along with space for adding the details of the music concert. Click on the below link to download it for free. You can also see Metal Vectors. This is a creatively designed background vector that showcases the hands of the high in the air. It features blue and black color, which makes it look more interesting and exciting. You can also see Shopping Vector Graphics. Are you looking for vector useful for music poster design? 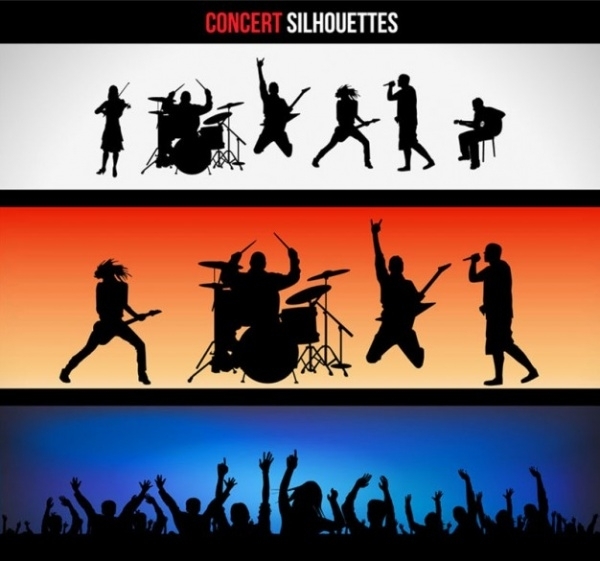 Here is the live concert vector graphics that showcase the silhouettes of the concert crowd, singer, drummer, guitarist, etc. 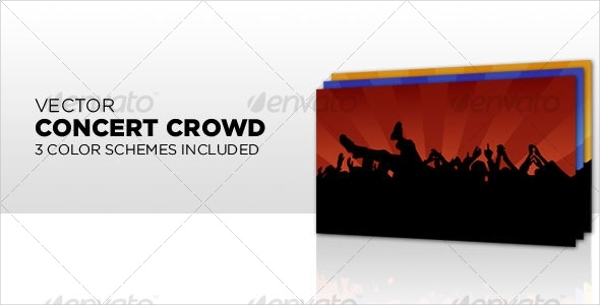 Concert crowd vectors come with 3 color options along with grouped and layered files for providing easy customization. 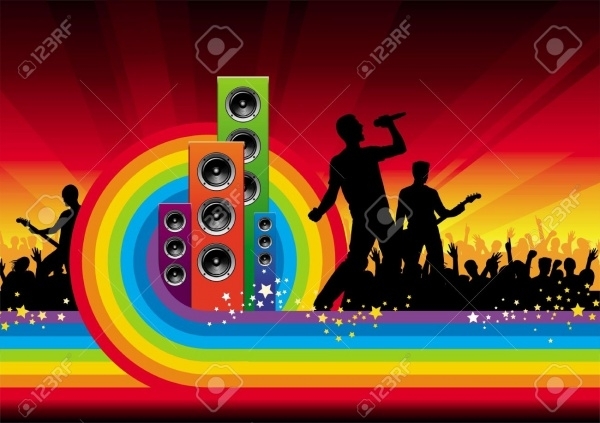 This brilliantly designed concert graphics and clipart can come handy for music related projects. Are you in search for an eye-catchy concert ticket vector? Well, then you are at the right place. 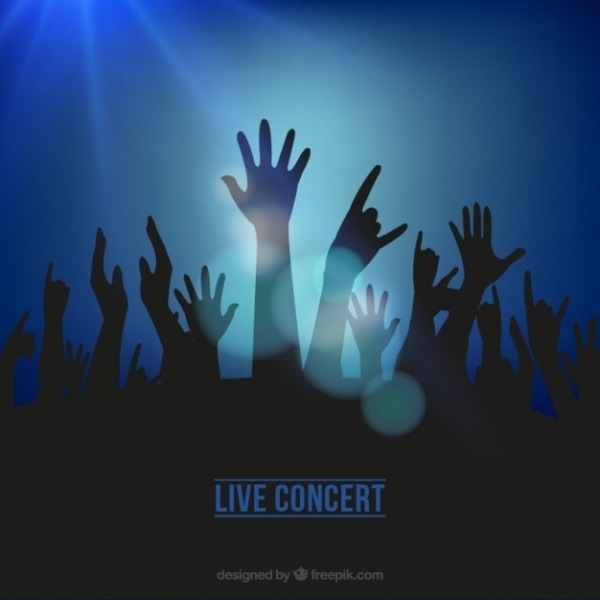 This concert ticket vector comes in high resolution in JPEG format with transparent PNG. 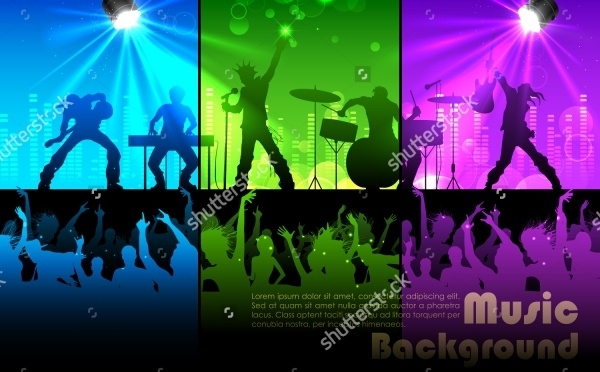 This is a music concert vector design and décor that perfectly showcase the silhouettes of the crowd in the nightclub enjoying the music. Click below button to download it. 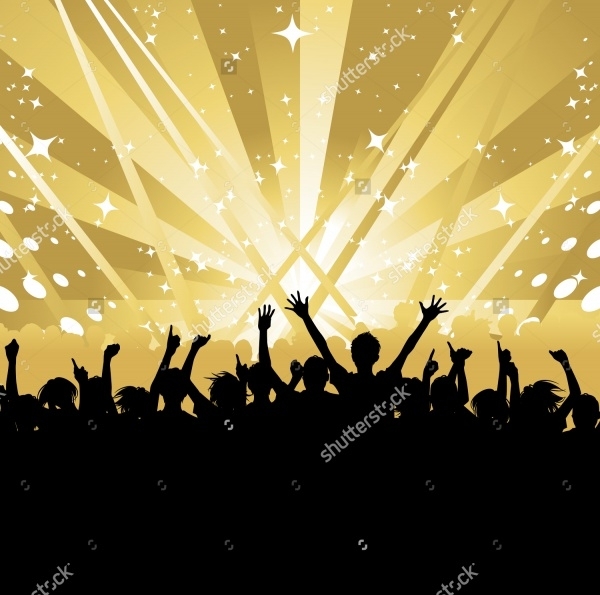 Here’s an exciting live concert vector illustration that can be used for the background of flyers, banners or posters of the concert. It mainly features a various shade of red color along with the silhouette of people dancing to the music. 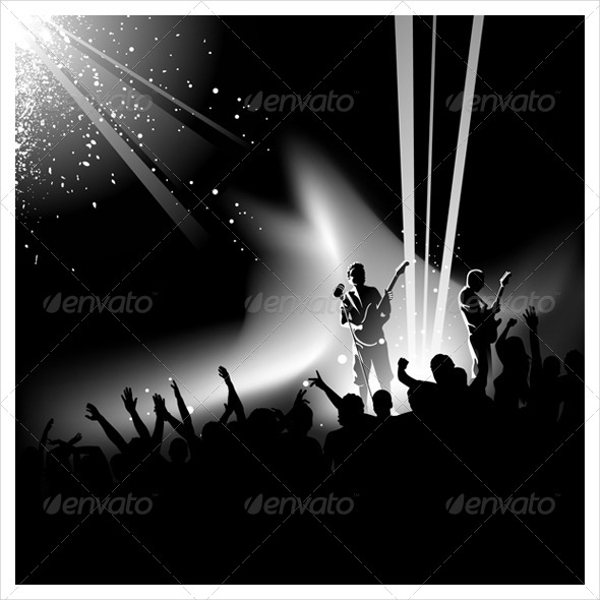 This is a dazzling concert vector that features colorful lights of concert and silhouette of the audience enjoying the music. It comes with various size options, from which you can choose as per your need. 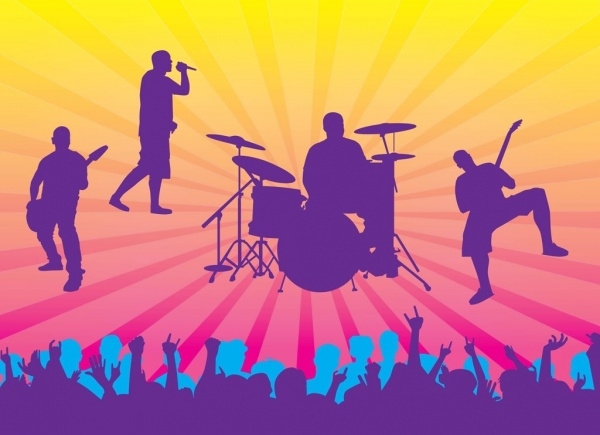 This is a creatively designed concert graphics and clipart design that showcase the band members performing on the stage. It consists of the silhouette of guitarist, drummer, singer, etc. 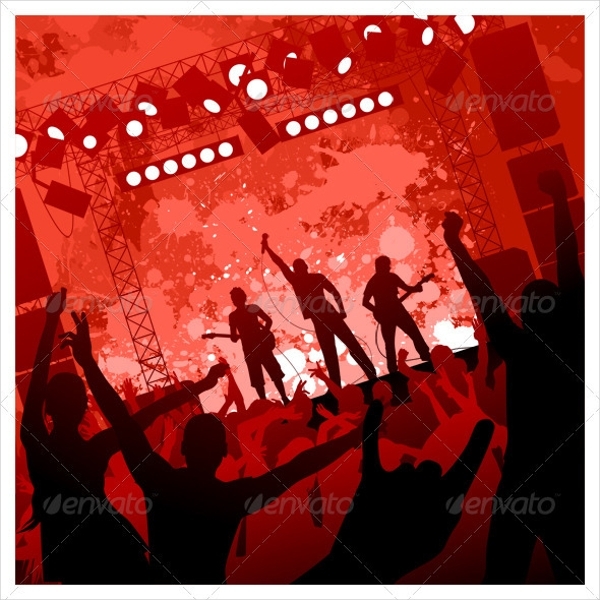 Here’s a vector illustration of a rock band performing on the stage with the silhouette of the people having fun. It is available in different file formats such as jpeg, psd, eps, and ai. 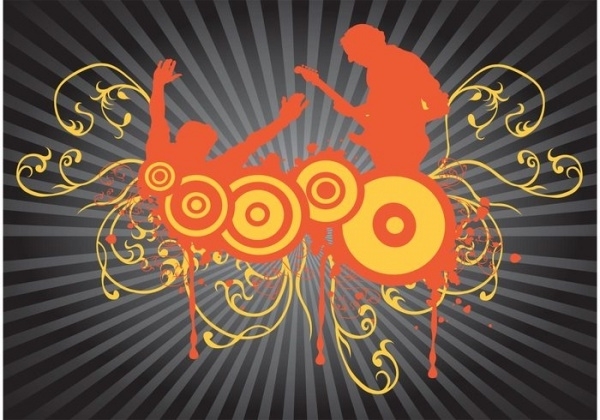 A concert poster vector design featuring the members of a rock band playing their musical instrument. 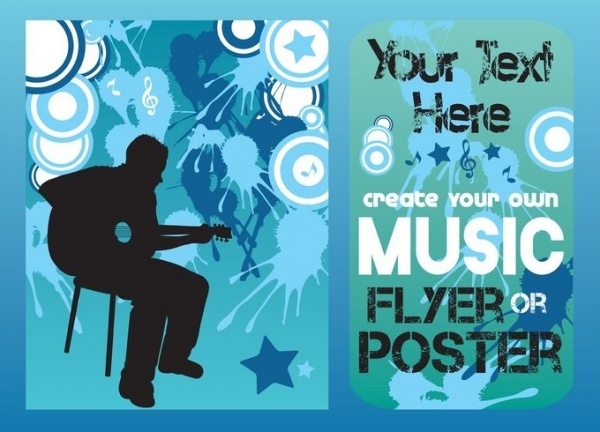 It can help you to create attractive poster and banner for the promotion of the music concert. 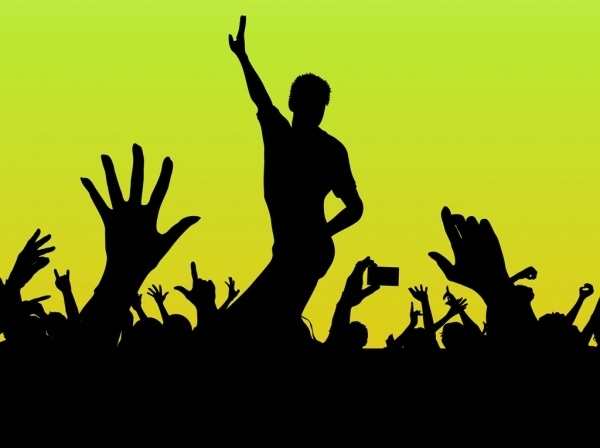 This is an elegant vector illustration of the crowd dancing and raising their hands to motivate the rock band. It features an amazing blend of light and dark color. 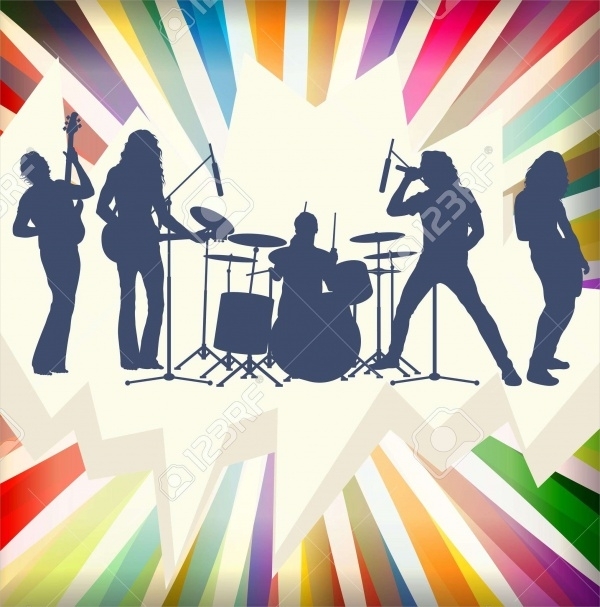 This is a free vector concert rock band design that displays speakers, singer, guitarist, and audience. It features beautiful rainbow color, which makes it look attractive and outstanding. 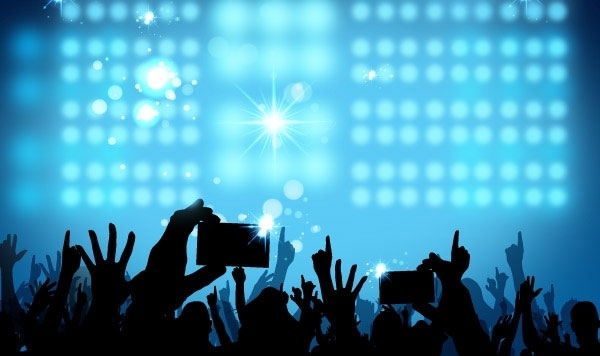 Here’s an amazing vector concert crowd background featuring dazzling blue lighting and silhouette of the crowd holding their phones high in the air. 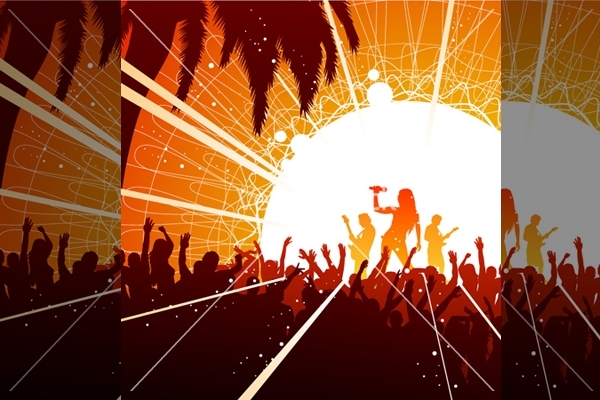 This is a high-resolution concert vector that is suitable for promoting the music concert on the beach. It features palm tree, rock star band, and the crowd. No matter which abstract vector background you opt for, from this intriguing collection, you’ll end up with the best music concert vector. 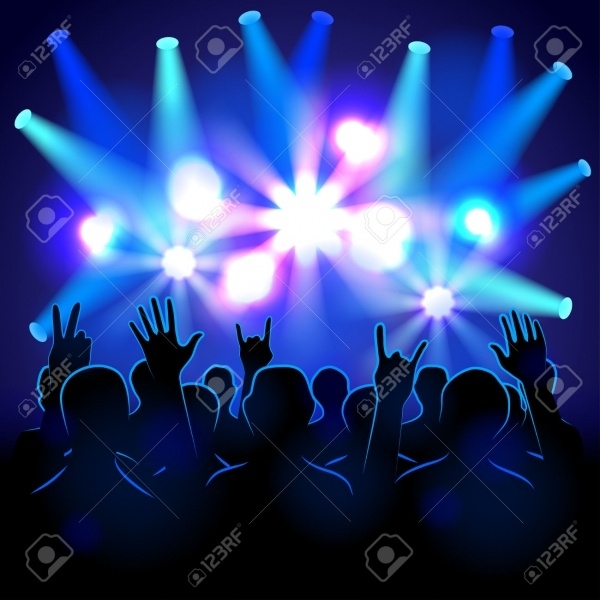 It is suggested that you download these concert vector today itself so that they are in your reach for future musical projects. Moreover, it’s hard to find such amazing concert vectors, so it’s better you take the benefit of this collection instantly!